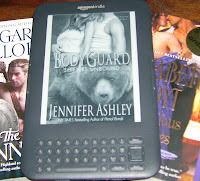 I LOVE my Kindle! I didn’t think I would. I don’t know why I thought that, but I did. Maybe it’s because I spend so much time on computers that the thought of looking at another screen of any kind was daunting. Maybe it’s because I love books….the weight and feel of them in my hand. The smell of them. The way the binding is untouched and perfect before you open the book. The crispness of the page beneath my fingers. Books have been such a big part of my life for as long as I can remember, starting with the Little Golden books of my childhood (you remember those, don’t you?). BUT….I do love my Kindle. The convenience is one reason. I don’t have to go to a bookstore or my local grocery store when I want a book…I simply download it. So easy (and yeah, that can be a bit dangerous too). The fact that I can download so many stories and not have to worry where I’m going to store them when I’m done (you already know how overcrowded my bookshelves are) is another reason. I can read my Kindle in bed at night with no lights….a far cry from the days when I read under the covers with a flashlight! Believe it or not, I read FASTER on the Kindle. And the biggest plus? I can make the type bigger so even after my eyes get tired and the words begin to blur, I can continue reading….Oh happy day! So, do you still prefer a paperback or hardcover or have you, like me, joined the millions of people who love their Kindles (or Nook or iPad or any of the other eReaders out there)? Whatever you prefer…. I still love paper books for my favorite authors, but when I'm trying someone new, I love my Kindle. I also like it for a lot of the same reasons you do: More books in small space and changing font size. It's also lighter when I'm going somewhere and want to bring a book along. I love my Kindle too! I love it for all the same reasons you do. I still need a light to read by at night, I have the one with the paper looking page. I love it when I travel, I don't have to lug 5 books on vacation. I also love the highlight feature on my Kindle, that's great for reviewing! I still buy a paperback of a book I love or to have a signed copy. An electronically sign copy doesn't cut it for me. I still purchase paperbacks especially if I can get an author's signature or if I should happen to be somewhere and see something I just have to have RIGHT NOW!!! But for convenience and the lack of strain on these poor old, tired eyes, can't beat that Kindle. And you know, it's funny. I got the Kindle Fire but I have yet to use it for movies or to surf the web. It's just for books! I love my Kindle too. That's a picture of it at the top. Yeah, I'm old fashioned :-) It has been a great incentive for me to get on the treadmill. I can enlarge the print and put it on the dash of the machine and read while I speedwalk. When I'm done, I put it away so if I really want to read what happens next I have to get back on the treadmill. Now I look forward to Speedwalks! Nice post. I like both print and ebooks. people get fatter when they keep sitting all the time. With a paper book one is forced to walk around. I will start by saying that I'm addicted to books. I cannot pass a bookstore without going in. Once I'm in a bookstore, no matter how stressful my job was that day, all is well, and please don't let someone require my presence elsewhere( picture Father Karras splashing Regan with holy water) because I will get medieval on that ..(well, you get the idea). My sister asked me if I would like an e-reader for my birthday and I said Hell No! real books for me sis. Ok, now my sis knows about my back problems and told me to just try one out, I did and now I must say I'm a Kindle lover. I have the Kindle touch 3G and because I can sample books I have widened my interests without worrying about buying a book I regret buying. Sampling books has allowed me to try out new subjects which wouldn't have happened if I had to buy a new physical book. Every new Kindle book I buy suggests other books which let me explore new topics such as books for dog lovers( I don't have a dog but I'm a dog lover who probably would have never broached this subject if not for my Kindle). Now I hate my landlord because he doesn't allow pets and I have always wanted a dog for a companion. Get an e-reader you won't regret it!! !